When considering SEO plugins for WordPress, the most popular appear to be Yoast SEO and the all-in-one SEO plugin that at one time had little competition. However, the WordPress SEO Ultimate plugin is now available and Squirrly has been introduced as a viable alternative. Is this true, and what is the difference between them? A great deal depends upon your requirements, the depth of your SEO knowledge and the type of blog you are managing. 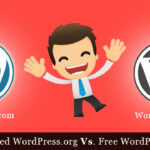 In this comparison we shall take these attributes into consideration, along with the differences between each of these three WordPress plugins. There are several ways to carry out this type of comparison, one being to simply listing the features of each. This is Okay only if you are experienced and understand what terms such as .htaccess and ‘HTML validator’ mean. What most people want is a description of the pros and cons of each, and what the reviewer has found when using them. Let’s face it – it is not possible to provide an accurate assessment of three SEO plugins unless you have actually tried them yourself on your own blog. On that basis, here are our views about each of these plugins for WordPress. We shall begin by comparing Yoast with WordPress SEO Ultimate, then find out how the Squirrly plugin compares. First, what are their backgrounds? The Yoast SEO Plugin: This was devised by SEO expert Joost de Valk as a more comprehensive free alternative to the WordPress All in One SEO Pack which had been popular up till then. You can read more about these two plugins in a previous post: Best SEO Plugins for WordPress. 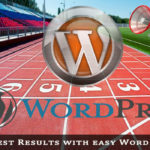 WordPress SEO Ultimate Plugin: This is a free WordPress plugin developed by SEO Design Solutions. It is fundamentally an upgrade to the All in One SEO plugin. Between them, this plugin and Yoast offer all you really need to maximize the optimization of your blog for Google and other search engines. Title Tag Optimization: Both enable you to optimize your Title tag. This is not the title of your blog post, but the tag that appears in the Head section of the HTML for that post. The Title tag is what Google publishes as the title of your listing in its search engine results pages (SERPs). Strictly, these plugins should also restrict the title length to 512 pixels at Google’s standard font for this snippet of Arial 16 point. Generally you will be informed if your title is too long, but you can check if it conforms to Google’s requirement here: Check Title Pixel Length (Note – this test page displays in a new window). Meta Description Tag: Each also enables you to write a meta description tag of the correct maximum length of 156 characters for Google. If the character count is too long then you should reduce it to 156, including spaces. Robots Txt: Both plugins allow you to control whether robots follow or do not follow, and index or do not index, the post or page concerned. However, there are functions available in Yoast SEO that are not available with the SEO Ultimate plugin and vice versa. Here is a rundown on these, and our impression of how important each is to most bloggers. XML Sitemap Generation: Yoast enables you to generate a sitemap of your blog with a single click. It provides you with a web address to that sitemap that you can include in your Google Webmaster Tools account. This enables Google to more easily visit as many pages and posts in blog as possible. SEO Ultimate does not offer this, although you can use one of several free sitemap generation plugins for this function. Editing .htaccess: Yoast gives you direct access to your .htaccess file so that you can easily edit it with your own parameters. This is more important to advanced users of WordPress than to beginners, but the facility is available whenever you have a need to use it. It saves you having to find this file in your website file structure and then find a text editor to modify it. Breadcrumbs: Breadcrumbs is an important feature of Yoast, particularly for those with a complex blog structure. This feature permits you to show readers exactly where they are in the structure of your blog. If they have followed a few links, breadcrumbs leaves a path that they can follow back to where they were before without having to click back to your Home page and start again. SEO Ultimate does not offer this feature. Real Time Optimization: Yoast SEO offers a traffic light system once you have saved a draft of your post. Green means that your SEO is fine. Red means it is poor, and changes must be made, while orange means that you have one or two factors that still need some work. It is also provided by Squirrly. This is an extremely useful function, particularly to the average blogger that prefers to write and blog than to analyze the effectiveness of their search engine optimization themselves. It also offers you a Flesch Reading Ease rating to check whether or not your post is easy to read or if your sentences are too rambling. Keyword Density: Although becoming less of an important factor in SEO with Google, keyword density can still affect your rankings. The Yoast plugin informs you if you have too many or too few instances of your keyword in your post. Using a keyword of three words, in one test 0.93% was insufficient, but 1.16% passed with a green light. This is an accurate demonstration of Google’s approach to keyword use, which indicates that Yoast is on the ball with regard to modern Google SEO. This is another Squirrly feature not available with SEO Ultimate. Social Media Integration: the Yoast SEO plugin enables you to state your preferred Title and Description for your Facebook and Google+ pages and then sends your post to these pages. It also allows you to state an image for either than will override the default image on these social sites for that post. 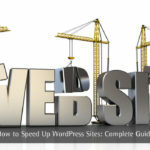 There are some benefits of using the WordPress SEO Ultimate plugin that you do not get from Yoast. The interface might seem a bit daunting to use at first, but once you get used to it, the interface is actually very easy to use. For example, you can apply noindex tags from a checklist, enabling you to decide which tags will appear on a page. The major difference between the two is the ‘Deeplink Juggernaut’ that has been designed to assist you maximize the potential of your internal linking structure. This is useful only if you have a lot of content on your blog, such as a long blogroll and a large number of posts. DeepLink Juggernaut and Penguins: The Deeplink Juggernaut can provide automatic links between posts and pages that focus on a specified keyword, thus maximizing on-page linking relevancy. Simply enter your keyword, and Juggernaut creates the links. Google rewards sites that link like with like rather than those that link every page with every other. You can make your links ‘Follow’ or ‘Nofollow’ on an individual basis. You can exclude certain pages from linking, such as Contact pages, and also the maximum number of links coming into each page. You can also control the maximum number of times a specified keyword can be used in anchor text. This is very important because overuse of the same anchor text can be punished by Google’s algorithm updates. Overall, Yoast appears to be easier to use as a simple addition to writing your blog post. SEO Ultimate show less features on a screen, but breaks everything into tabs. Nor does it offer an on-page assessment of the effectiveness of your SEO. Many people find this an essential feature once they have used it with the Yoast SEO plugin. The Juggernaut feature of SEO Ultimate is a definite plus for this plugin. However, be careful how you use it, and make sure you avoid using too much anchor text using the same keyword – or even promotional keywords such as ‘Buy Here’! In spite of this, it is useful for algorithm savvy bloggers. It’s fundamentally horses for courses, Coke vs. Pepsi or blues or soul. Some bloggers will prefer Yoast while others SEO Ultimate. I suspect those that prefer the latter will be the more experienced bloggers. You could try both, but we shall come to that later – because we have yet to have a look at the SEO Plugin by Squirrly. It is free if you write only five posts/month – otherwise, you pay $29.99/month for the Premium version. You enter a keyword into the search box, and Squirrly will come up with a selection of copyright-free images you can use on your blog. It will also give a list of blog posts using the same keyword. The software will analyze your text as you write and turn green when it is properly optimized. Once you have finished and published your post, the Squirrly Performance Analytics gives you an indication of their performance on social media and also their Google ranking. Squirrly will not override your existing SEO settings. Squirrly SEO cannot be considered as an alternative to Yoast SEO or WordPress SEO Ultimate but we recommend you to use it considering the features that it offers. It will surely help your site to grow further and also will save your time in doing SEO tasks manually. Squirrly will provide you with a weekly SEO Audit, indicating the performance of your content marketing strategy in general. Examples of reports include visitors to your blog URL, social marketing signals, authority and so on. Some people do well using Squirrly, but you must be clear in your minds what you are doing. You must write an SEO optimized content based upon Squirrly’s excellent keyword research tool, and then use that with the software’s SEO analytical tools. Check out our Squirrly coupon to get 15% discount. Whether you use Yoast or SEO ultimate is a matter of preference. Each has its adherents, and while we use Yoast by choice there are few reasons why you should not use SEO Ultimate. The SEO plugin by Squirrly is another matter, we recommend that you try it for yourself, it’s a very useful SEO tool. Squirrly: Squirrly offers some excellent features, such as its keyword research function and the way it provides you with good photos and graphics that you can legally use. The SEO system used by Squirrly is different to those of the other two options, but there are no reasons why you should not try it free for your first five posts. Where the others are concerned you might consider testing both, or even the two together. If you like the Deeplink Juggernaut feature of SEO Ultimate, you could enable only this feature and use it along with Yoast SEO. The issue here might be speed of loading. You don’t want your blog to load slowly due to these SEO plugins. Here’s how to test each separately and the best features of each together. 1. Delete all relevant plugins from your blog. 3. Run a loading speed test on your blog URL with no SEO plugins installed – carry out 3-4 tests for consistency. 4. Install Yoast, activate it on your blog and then run the test again. 5. Remove Yoast from your blog. 6. Install SEO Ultimate and repeat. 7. Install Yoast and run both together with all functions activated. 8. Now activate only those functions you wish to use and repeat. 9. Repeat this with Squirrly installed and activated if you also want to use this. This should give you a good idea of how these three WordPress SEO plugins affect the loading speed of your blog, separately and together. Loading speed is a ranking factor with Google. You can then decide if it is worth it to use the best features of two or three of these rather than focusing only on one. Check twice the source code of your posts/page and check if meta tags are not added by both the plugins. If the loading speeds are greater than you would like, make sure you have the W3 Total Cache plugin or similar installed. If not, install it and run the tests again. The loading time should be reduced. It might be smart to install the W3 Total Cache plugin before you start testing. While Yoast appears to be the most comprehensive and easiest to use for the average blogger, the SEO Ultimate plugin also offers some useful features. Squirrly also seems to be useful, but try the free version before paying your $29.99/month. 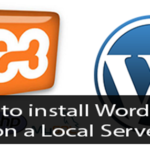 Fundamentally, most SEO plugins for WordPress offer the same basic functions. The differences between the Yoast SEO plugin, the SEO Plugin by Squirrly, and the WordPress SEO Ultimate plugin lie in the extra features that each offers. Yoast just swings it here, but you can try using the best of both if your load speed is not impaired. When you are using Yoast SEO and Squirrly, do you create your blogs so they both give you the green for SEO? For example, I’m using the same Keyword and Squirly says I’m Good – giving me all the green squares but Yoast gives me an orange OK for the exact same keyword. So which one tool takes precedence between the two? It’s not mandatory that you should get all signal green. Do not over optimize your blog post. Follow proper on-page. Do not add keywords until and unless really required. Make it look natural. This is good. But can I use both Yoast and Squirrly together without countering each other?